A Y-cable to connect 4x3-Pin fans to one 4-Pin power connector. For connection of up to four fans to one 4-Pin Molex power connector. 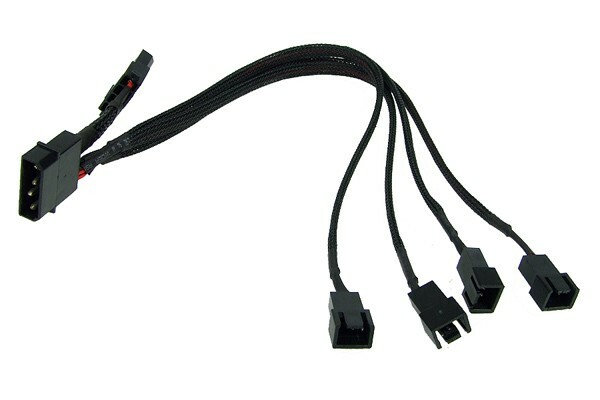 The special feature of this adaptor is the looped-through 4-Pin Molex connector which still allows use of the connector used for connection of the fans.